One of the most common calls that our trustees receive are from people that are fed-up with collection agencies. Our guest on today’s Debt Free in 30 show is Blair Demarco-Wettlaufer, a Managing Partner for Kingston Data and Credit, a Canadian debt collection agency. Blair gave us the ins-and-outs of the collection world, including the typical life of a debt once it has gone to a collection agency and tips on what your options are for dealing with collection calls while I talk about your legal options to stop collection calls for good if you have more debt than you can repay. How Do Collection Agencies Hear About My Debt? A collection agency is contracted by companies to collect on outstanding debts. Think of them as “the middle man” between you and your creditor. A collection agency follows 4 basic steps from the time that they receive your debt, up to the time that your phone begins to ring. An account is contracted out to the collection agency by your creditor typically once an account is three or four months past due with no activity. Some companies wait longer if they have internal resources, but that is the average. The account is entered into the collection agency’s database. A collection letter is sent to you by regular mail. Six days later, the collection agency begins calling every three business days. In Ontario the Collection Agency Act of Ontario requires agencies to send a letter once they receive a file and to wait six days for a response before they begin calling the individual. This means that, when dealing with a debt collection agency, it is your right to ask the agent on the phone to re-send the letter if you did not receive one before they began their collection calls. You can ask for a copy by mail. E-mail or fax doesn’t count unless you agree. the name of the creditor that they are collecting for, and a statement that the creditor has asked them to collect the debt. What happens if you try to ignore your debts all together? A consequence for not paying off a debt could be legal action taken by the creditor, or by an in-house paralegal team in some collection agencies. If your debt is large enough (generally over $3000) and you have stable income, it is possible that you may be pursued through small claims court. If the debt is over the 2 year mark outlined in the Ontario Statute of Limitations. If the debtor does not have stable income. If the debt is too small. If the creditor does not have the necessary valid documentation, signed contracts, or invoices. In other words, there are a lot of things that have to happen realistically for legal action, rather than an emotional agent on the phone saying, ‘I’m going to sue you if you don’t pay this. Make a Good Faith Payment – offer the agent a small amount of money to show that you’re taking your debt seriously. By offering $50 with a promise to discuss your situation further in a couple of weeks, the agent knows that you are open to discussion. However, Blair points out that the Statute of Limitations in Ontario states that no legal action can be taken after 2 years from the date of delinquency or last payment. Furthermore, after 6 years the credit bureau reporting ceases. Keep in mind that if you decide to make a good faith payment, you are restarting both of those clocks. Offer A Series of Payment Arrangements – these arrangements can be completed through post-dated cheques or pre-authorized payments. Blair warns us that the agreement should be conducted in writing (i.e. an email) and that any written cheques should be clearly identified as post-dated and to the correct agency’s trust account. Offer A Lump Sum Settlement – Offer a one-time payment to clean up the debt. If you go this route, make sure to get a Conditional Letter of Settlement from the collection agency outlining the amount, date, your name, and that you are thereby released from the debt. Blair suggests that you should reach out to the collection agent and be honest about your situation. Don’t make promises that you can’t keep and be realistic about your offer. Blair explained that you should not pay an agency if you disagree with the debt and can prove that it is not legitimate. For example, if it has passed the Statute of Limitations 6 year rule. After 6 years, the debt cannot be shown on your credit report and the opportunity for legal action has long since passed. Keep in mind that there are exceptions for this example, including money borrowed from Credit Unions. They can enact a “voluntary wage assignment” (which is included in the contract that you sign at the time of borrowing) and take 20% of your wages for 10 years to clear up your outstanding balance. For those debts already listed on your credit report, Blair explains that paying them will slightly improve your credit rating. However, once a debt is listed as a registered item (your inactivity has been flagged by a collection agency or creditor), it is usually too late for the debt to be wiped clean and it affects your overall credit score. Once your debt has reached this point, collection agencies do not have the authority to simply wish it away. If a negotiation is not possible and you’re getting nowhere by making the minimum payments, Blair acknowledges that it might be time to deal with those debts through a consumer proposal or personal bankruptcy. If a negotiation is not possible and you’re getting nowhere by making the minimum payments, Blair acknowledges that it might be time to deal with those debts through a consumer proposal or personal bankruptcy. If you cannot afford to repay your debt, then you have two options under the Bankruptcy & Insolvency Act which provide a legal stay of proceeding that stops creditor actions, including both collection calls and wage garnishments, and provides a process to eliminate your debt entirely. File a consumer proposal – This allows you to make a settlement offer to all your creditors to repay a portion of what you owe, based on what you can afford. It deals not only with the account in collection but any other unsecured debt that you may be struggling with. File bankruptcy – This is always the last resort however if you have several accounts in collection, or owe a significant amount of money to other creditors, and you cannot afford to make a deal through a consumer proposal then bankruptcy will allow you to clear up your debts and will stop collection calls. If you cannot repay your debts, contact a Licensed Insolvency Trustee like Hoyes Michalos to discuss these options. Let’s play a word association game. Let’s pretend that you have debts and you’re behind on your payments. What words come to mind? For many people it’s the words collection agent or bill collector. As frequent listeners to this show know, my name is Doug Hoyes and I am the co-founder of Hoyes, Michaels and Associates, a company that helps people deal with their debt, often through a consumer proposal or bankruptcy. Guess what the number one reason is that people call our 310 plan helpline? The answer yep, calls or letters from collection agents. That’s the straw that broke the camel’s back for many people. You can owe a lot of money but as long as you’re making your minimum payments, you don’t worry about it until you get a call or a letter from a collection agent. That’s when you realize you’ve got a problem and you get on the phone to a company like ours. So, how can you deal with collection agents? Can you make a deal with them? Or do you just need to go bankrupt and get it over with? How do they work? How do they get paid? What’s the deal on collection agencies? To find out, I’ve invited an actual collection agent on the show. So, let’s get started. How are you? Where do you work? What do you do? Blair Demarco-Wetlauffer: Well, hi Doug. My name’s Blair Demarco-Wettlaufer. I’m the managing partner for Kingston Data and Credit, a collection agency with three branches in Canada. Doug Hoyes: And one of those branches is here in Cambridge, which is where we’re recording this today. So, let’s start and go through this chronologically. Doug Hoyes: How does a debt get to a collection agency such as yours? Blair Demarco-Wetlauffer: Well, it depends on the size of the creditor. It could be anyone from Danny the dentist with this handful of accounts that haven’t paid him, all the way up to Bank of Montreal that has a very defined process for assigning files to a collection agency. Typically they’ll come to our office, anywhere from 31 days past due all the way to two or three years past due. And some agencies in our business actually specialize in collecting debt that’s five, seven or even ten years a past due. But typically my experience is they’ll come to our office about three months, four months past due where there’s been no activity and the creditors had to throw their hands up and say we need help. Doug Hoyes: So, the creditor understands, you know what? I’m not going to collect this. Blair Demarco-Wetlauffer: Or they don’t have the time to invest in reaching out to people. Doug Hoyes: And so they send it off to you. You get a list, a file whatever, then what happens? What do you do with that debt? What’s your process? Blair Demarco-Wetlauffer: Well, it depends on the client and the province or state that we’re collecting in. In Ontario, which is probably most of the people listening to this show, what’s required by the Collections Agency Act of Ontario is a file comes in, it gets put into our database, our contact management system and a collection letter goes out. That’s actually required by law. We have to send a letter and wait six days before we start calling. Blair Demarco-Wetlauffer: Yes, in Ontario. Blair Demarco-Wetlauffer: Ontario and B.C. Now, obviously if we get a file that is two or three years past due, we might get no address at all or an address where mail’s been returned or an address that isn’t forwarded anymore. But we still are required by laws, written in 1975, to mail out a letter and wait the six days. Doug Hoyes: Okay. So, as a practical point here then, if I’m listening to this show and I’ve got debt and I get a call from a collection agency, I should have already got a letter or I can at least ask, well send me something in writing then. Blair Demarco-Wetlauffer: Actually that’s in the act. If a consumer gets a surprise call from an agency, and obviously Canada Post isn’t without its quirks, and they say, I didn’t get a letter; they have the right under The Collection’s Agency Act to have that letter re-sent. They can ask for it by mail, if the consumer and the agency are willing to co-operate, they could e-mail it to them or fax it to them. Blair Demarco-Wetlauffer: Six days in Ontario. Doug Hoyes: And then after that what happens? Blair Demarco-Wetlauffer: Well, in a typical collection agency, collection agents will either make manual calls, where they pick up the phone and punch the buttons on the phone. Or they’ll work on a predicted dialer; where a predicted dialer will just spit out calls and leave pre-recorded messages or connect to a pool of collectors. I personally am very old school. I’m not a big fan of predicted dialers. I think they’re brute force engines. So, typically what would happen at our office is one of our collection officers would pick up the phone and call somebody and try to reach them. We would call them on a three business day turnover. We want to create a sense of urgency and contact the consumer. That’s our ultimate goal. A lot of consumers, actually about 60 or 70 percent of consumers, they play ostrich, they bury their head in the sand. They get a call and they ignore it or they get a letter and they disregard it. And that’s the biggest challenge because those are the people who are calling our office a year later saying, “I can’t get a car, what happened?” And they don’t realize. So, a lot of our efforts on a daily basis are spent reaching consumers, making them aware of their debt and giving them their options, whether they want to pay it, whether they dispute it, whether it will be listed to the credit bureau or in a few rare cases, whether legal action will happen from it. Doug Hoyes: So, we’re going to talk about that. So, just so I’ve got the chronology then. So, typically, and I realize every situation is different, the file comes in, you send a letter, you wait at least six days, and then you start making phone calls. At your agency you actually pick up the phone and call. Other agencies are using the, like you called the predicted dialers, the robo callers that are banging the phone call out every hour. Doug Hoyes: Which drives people crazy, I understand that. And then you would typically call someone every three days if you don’t get through to them? Blair Demarco-Wetlauffer: Every three business days, that’s right. Doug Hoyes: That’s how you work. Blair Demarco-Wetlauffer: And eventually we’ll reach the consumer and make arrangements or we won’t reach the consumer and we’ll decide okay, enough is enough we’ll place it on the person’s credit rating and move on. Doug Hoyes: Okay, so I’m now the debtor, I’m the guy who owes the money. I get a call from a collection agency. So, I want your advice on what I should do. And I think there’s two scenarios. First scenario is I don’t actually owe the money. They’ve got the wrong guy, I already paid it, whatever. And the second scenario would be well, yeah I do owe them money and I guess I got to deal with it. So, let’s take the first one first. So, I get a call for a debt that I don’t believe is mine. I believe I’ve paid, I want to dispute it. What should I do? Blair Demarco-Wetlauffer: Well, first of all you should definitely pick up the phone and talk to the agent and let them know. The problem is a lot of agents aren’t educated in the laws or they’re not sophisticated enough to listen because they’ve been trained to demand the money and throw the excuses to the side. Regardless, you should communicate clearly and effectively that you dispute the debt, why you dispute the debt and what you want to do; if you can do that verbally, great. You know it could be an issue of identity theft, my I.D was stolen a year ago, I have a police incident report number, here you go, give that. Or, I’ve disputed this debt, I have a copy of the letter I sent to Bob the dentist three months ago, I’ll send you a copy, fine. Ultimately though if you send a letter, a registered letter to the agency, disputing the debt and requesting no further calls, their done. Blair Demarco-Wetlauffer: Yes. You can’t stop the consequences but you can stop the calls. Doug Hoyes: So, and the consequences in that case would obviously be if I actually do owe them money then I guess you’re going to place it on my credit report. You could return it back to the original creditor who could decide to take me to court and sue me. Blair Demarco-Wetlauffer: A lot of agencies actually have their own internal paralegals and lawyers where they will initiate the legal action. You know especially when you’re dealing with debts upwards of $3,000 and more. That’s when small claims court becomes viable for the cost. You know, no one is going to sue anyone over a $53 library fine. It’s just not going to happen. But if you owe on your Visa $6,000 and you’re gainfully employed, yes the threat of legal action could be real. Doug Hoyes: And so collection agencies will actually commence law suits. It’s not your common collection tactic obviously. It doesn’t happen in most cases I would assume. Blair Demarco-Wetlauffer: Well, it depends on the creditor and the agency. There are some law firms acting as collection agencies and they sue 30, 40 percent of the accounts that come into their office. Our office, we’ll choose a handful of files that we’ll take legal action on, on every year. If the debt’s over the two year mark, it falls outside the statute of limitations in Ontario. If the person isn’t gainfully employed we don’t want to take legal action because it’s the creditor throwing good money after bad. If the debt is too small, if it’s under $3,000, we generally don’t encourage it. And if the client doesn’t have ironclad documentation, a signed contract, invoices, then we can’t put a case together. So, there are a lot of things that have to happen realistically for legal action rather than an emotional agent on the phone saying I’m going to sue you if you don’t pay this. So, the second part of that question was what do I do if I actually owe them money and want to make a settlement or a payment arrangement? Right now we’re going to take a quick break and we’re going to come back and you’re going to answer that question right here on Debt Free in 30. Doug Hoyes: We’re back on Debt Free in 30. My guest today is Blair Demarco-Wettlaufer who is an actual real life collection agent. Before the break we were talking about, you know if I get a call from a collection agency what should I do? We talked about the situation where I don’t really owe them money and I want to dispute it. Okay, well what about the more common situation where I actually do owe them money, I haven’t paid it. I’m behind, that’s why it got turned over to a collection agency, what are my options then when I get the call from the collection agent? Blair Demarco-Wetlauffer: Well, there are a couple of things that you can do. Obviously if you want to pay it or you feel you should pay it or you want to avoid the consequences for nonpayment, you should reach back out to the collection agent when you get the letter or you get the answering machine message. And you should be honest. Most agents are motivated to collect the payment in full because they work on a contingency. The company, the collection agency works on a contingency or commission basis. They only get paid if they collect. And some agents are working in boiler room call centres where they’re driven. But you as the consumer, what you should do is make a realistic payment arrangement. You shouldn’t promise something that you can’t do. You should not promise – if you’re reaching for that $100 a month payment, don’t offer it, offer 70, offer 50. Offer something realistic. From the agent’s standpoint, the agents often hear every day, I want to pay that bill but I can’t. My dog got sick or I’ve just lost my job. The other option that you can do is if you want to make arrangements on a balance, you can offer a series of payment arrangements; either through post-dated cheques or pre-authorized payments. Be careful with this though. Make sure that you get your arrangements by email or you’re sending cheques that are clearly identified as post-dated and that they’re made out to the right party, to the collection’s agency trust account. The last thing that you can do is, let’s say you dispute a portion of the debt or a portion of the debt is interest that has accumulated over time or you were unsatisfied with the services. You can offer what’s called a settlement, a lump sum settlement where if you owe $1,000 you’re offering to pay $700. Protecting yourself as a consumer in this case, is very important. Before you pay one dime you should get what’s called a conditional letter of settlement from the collection agency that says on condition of Frank paying $700 by December 5th, he is released from any claim and obligation relative to this debt. And that way if Frank makes the payment, he is resolved from any demand on the remaining balance. In most provinces, if you make a partial payment on the debt, that acknowledges liability for the full balance. So, there are a number of ways that you can negotiate with an agency but the important thing is to be honest and to only promise what you actually can do. Doug Hoyes: So, I got two questions related to that. Doug Hoyes: The first one is you mentioned in the first segment about the limitations act, what they call on T.V the statute of limitations. Blair Demarco-Wetlauffer: For legal action it’s two years in Ontario. Blair Demarco-Wetlauffer: Right, the ship has sailed. Blair Demarco-Wetlauffer: Bingo, the clock resets, absolutely. Doug Hoyes: So, if I’m going to make a deal, I go back to what you said then. You better make sure you can honour it because if I pay that $50, I’ve now given the collection agent two more years to pursue me in effect. Blair Demarco-Wetlauffer: Exactly. And for credit reporting, reporting to the credit bureau, it has a six year window in Ontario, that clock resets too with the payment. Doug Hoyes: So, it’s – yeah that’s pretty dangerous if you aren’t going to be able to continue on with it. Blair Demarco-Wetlauffer: So, the important thing is to know how much you owe, what are the consequences? Have the consequences been avoided? I mean a lot of cases, collection agencies aren’t sophisticated. They’ll list the file on the credit bureau and then call the consumer. To my mind that’s incredibly dumb. It’s far better to call the consumer and say I haven’t put this on the bureau yet. My client’s asked me to, what would you like to do? And consumers react far better to knowing it hasn’t been listed with the bureau yet. Doug Hoyes: So, how do you get paid then? Blair Demarco-Wetlauffer: Collection agencies – nine out of ten times in Canada, collection agencies work on a contingency basis or a commission basis. They get to keep a portion of what is collected. And this is important for consumers to know because there’s this misconception from T.V and U.S news that collection agencies buy the debt. That’s very common in the U.S and it’s starting to become common in Canada, but the debt would have to be two, three, four years old for someone to buy it. In most cases the creditor retains ownership and hires the collection agency to act on their behalf. And they could receive anywhere between 10 percent to 50 percent of the amount they’re collecting, depending on the age, balance and type of creditor. Doug Hoyes: So, if I’m a collection agent and I know that I’m going to collect somewhere between 10 and 50 percent is my commission, my contingency fee; I would much rather get a lump sum, which was your third option there that you mentioned. So, if it’s a $5,000 debt, I would much rather as the collection agent get $2,000 right now and write off the rest, take the money then I would get $50 a month for the next five years. Blair Demarco-Wetlauffer: A lot of old school agencies work like that. In fact they’ll send out as that initial collection letter, a letter offering a settlement right off the get go. It’s like Oliver Twist begging on a street corner. Please sir, can you only pay $700 of the $1,000? I personally believe a lot of consumers ending up in collections, they’re not bad people. 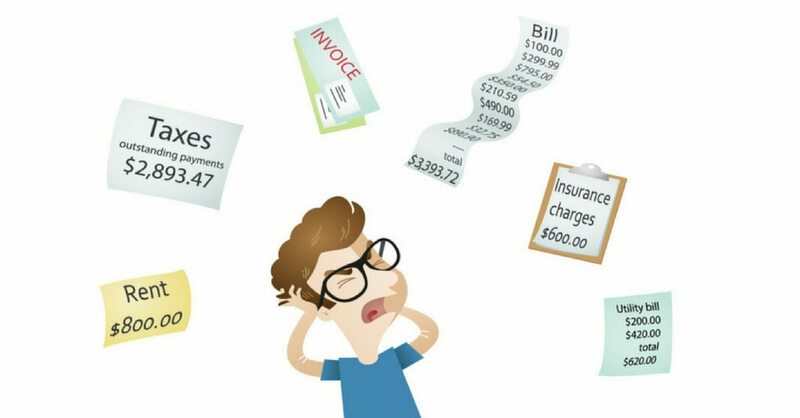 Nine out of 10 consumers ending up in collections are procrastinators; they don’t understand their financial rights. They weren’t aware of the debt. They’ve had bad circumstances happen or they’ve reacted emotionally to a debt and they’ve made a bad decision. A lot of – when I started in the business going from a credit manager – collectors had pieces of paper under glass on their desk and it was called the “open and done”. And they were told, you owe $10,782 at what point today can we expect payment in full, which is a shakedown tactic. I would far rather a consumer not be sent to borrow funds from friends and family and actually say well I got a limited income, I make $14 an hour. I can pay $100 a month, is that reasonable? Of course it’s reasonable. It’s an honest attempt. But a lot of the people in my industry think I’m a little odd. Doug Hoyes: Gotcha. Well, and I’m kind of an outlaw in my industry too. So, we’re in the same boat here. I’m thinking here from a business point of view. If I’m a collection agency, to take a $50 or $100 payment a month from a debtor, of which I may only be getting $5 or $10 a month, I’ve got take the cheques, I’ve got to deposit them, I’ve got to do the accounting, I got to get them to the bank, some of them are going to bounce. That’s a lot of work for not much return. Blair Demarco-Wetlauffer: Our business can be very lean and there are a lot of hidden costs. We have to carry surety bonds and special insurance in different provinces. We have licensing costs. A lot of agencies fail to grow or fail to deal with volume. But I can tell you in the last three years 178,000 consumers have been listed with our office. It’s mind boggling and most of the payments we get are $50, $100, $200 because that’s what consumers can afford. And in this day and age, consumers obviously might not want to give out their banking information to a strange collection agency that they don’t know or trust, we get a lot of e-transfers, interact e-transfers. We get a lot of people making deposits straight into our trust account. And those small amounts, they add up. When you look at thousands of those payments happening a month, collection agencies exist because of economy of scale. They can hire multiple staff, they can make thousands of calls, they can manage those payments. That’s where agencies have an advantage over the original creditor. Doug Hoyes: So, you are willing to accept payments. You’re willing to accept deals. From a consumer’s point of view, make sure you understand what you’re getting yourself into. Don’t promise what you can’t do and it should work out for you. Blair Demarco-Wetlauffer: Yeah, I remember years and years ago; I was doing collections for a municipality that had geared to income housing. And this one poor little old lady, Mrs. Smithers, owed $8,000. And we called her and she was on C.P.P, Canada Pension. And she offered $100 a month. She couldn’t afford $100 a month. So, we told her to pay $30. And I’ll tell you she walked into our office with her walker, the first day of each month and paid in cash. We never even had to call her. But that is what she was able to do. And because we were reasonable with her, she was reasonable with us. She never missed a payment, ever. Doug Hoyes: It becomes a win/win for both parties. Doug Hoyes: Great, thank you very much. I really appreciate you being here today Blair. We’re going to have full show notes on our website at hoyes.com. I’ll also put links to your blog, which is one of the very few people in your industry who actually has a blog. So, it has some great information. I appreciate you being here today. We’ll be back to wrap it up right here on Debt Free in 30. Blair Demarco-Wetlauffer: Thank you sir. My guest today was Blair Demarco-Wettlaufer, a Managing Partner at Canadian debt collection agency. He shared with us a great insider’s view of the collection world, and gave lots of practical tips. He said that under the Collection Agency Act of Ontario a collection agency must send you a letter once they receive your file, so you are within your legal rights to request written confirmation of the debt owed. As Blair said, you can’t play ostrich with a collection agency, you must take action to deal with your debt. So what’s my take on Blair’s message? I agree that you can’t just ignore a collection agent and hope they’ll go away. If a collection agent is calling, you have to deal with it. If you legitimately owe the debt and you have the money to pay it, pay it. If your total debts are manageable and you just need some time, ask to make payments over time. But here’s the key: don’t ever make a commitment you can’t afford to keep. If you have $50,000 in debts and you are behind on all of them, and a collection agency is calling you daily about your overdue $1,000 cell phone bill, it doesn’t make sense to try to pay the $1,000 if you can’t deal with the other $49,000. You need a plan to deal with all of your debts, so don’t put yourself in a bind by dealing with one debt and ignoring the others. We’ve got lots of resources on our website at hoyes.com that explains all of your options, and that’s a great place to start to make a plan. Full show notes are available on our website at hoyes.com, that’s h-o-y-e-s-dot-com. Doug Hoyes: Welcome back to the podcast only bonus segment here on Debt Free in 30. My name is Doug Hoyes, I’m joined by Blair Demarco-Wettlaufer who’s a collection agent. We had a great discussion in the radio portion of the show. But there were a few questions I wanted to ask that I didn’t get to, all the juicy stuff. So, for those of you who are sticking around you get to hear the good stuff. So, my – the question I really want to ask you is, is it true that as a person who owes money, I should never pay a collection agency? In fact if you search that term on the internet I’m sure you can find articles I’ve written saying exactly that. And the reason I’ve said that in the past is well, look, if you pay a collection agent, it’s still going to show up on your credit report of a period of time and – so why bother? If a collection activity stays for six years on a credit report, which is typically how it works here in Ontario, whether I go bankrupt or pay a collection agent or do some other means of settling the debt, my credit rating’s pretty much pooched anyways. Wouldn’t I be better off doing something else? Blair Demarco-Wetlauffer: There are cases where you shouldn’t. I absolutely agree. Doug Hoyes: Okay, so let’s talk about the shouldn’t then first. When should you not pay a collection agent? It doesn’t make sense. Blair Demarco-Wetlauffer: You should not pay a collection agency if you dispute the debt and you don’t feel the debt is legitimate. By paying it, you’re giving that debt legitimacy. If the debt is passed the ultimate statute of limitations, six years, unless it’s some weird case like a student loan or a provisional offences act, the statute of limitations is over. It won’t be on with your credit bureau, it won’t be open for legal action. You shouldn’t pay it in that case. Blair Demarco-Wetlauffer: That’s for legal action. Blair Demarco-Wetlauffer: Now there are a bunch of exceptions for this. So, it’s hard for me to give a general rule. If you borrow money from a credit union, credit unions in Ontario have this special thing called the wage assignment. And you sign a piece of paper and it says if I don’t pay this you can just take 20 percent from my pay. Only credit unions have this power and they can go just show your signed letter to your employer and you lose 20 percent of your pay and it’s good for ten years. Those are unique exceptions. Or student loans, they don’t have the same statute. Blair Demarco-Wetlauffer: Exactly. But I mean if someone is calling you for your Rogers bill from 12 years ago, no, times up. You should not pay that. Now, if it’s on your credit rating already, paying it will improve your credit rating slightly. Obviously Equifax and Trans Union, the credit bureaus in Canada, they have a super-secret score formula that changes constantly and they’re not going to share it with you or me or the consumer. But let’s say you have a Fido cell phone. It shows up as a trade line item and it’s an R1 because you’ve been making your payments. And then you get a little behind and now it’s an R2. And then you stop paying it completely it becomes an R9. People have heard that term, you have an R9 rating. And then the file gets sent to a collection agency. At that point it’s still worth while paying because the collection agency hasn’t recorded it as a registered item. Registered items are bankruptcies, judgements and collection items. If I, as a collection agency, list that on the credit bureau, it’ll show up as Kingston Data and Credit/Fido for an original balance of $283 and a balance with interest of $302. That is a negative rating to that person’s credit. For six years from the date of delinquency. If they pay that it will be reduced to a zero balance or if they settle it, it will be reduced to a zero balance with the words settlement next to it. And that will improve their credit score. To what degree, only the IT wizards at Equifax and Trans Union know. But it will improve their rating. I can tell you we get a call in our office every other day, every three days from somebody calling us saying I can’t get a car, I can’t get a house. There are legitimate reasons to pay the debt. And if you can avoid it going to your credit bureau as a registered item by a collection agency, yes you should pay it but only if the collection agency has the right to put it on your bureau. Someone calling you with a 12 year old debt can’t put it on your bureau. Blair Demarco-Wetlauffer: It’s generally too late. There are a couple of things. The credit bureau isn’t a snap shot, it’s a regular reporting cycle. So, the credit cards you’re reporting every month we’re reporting every month. We don’t have the right to just wipe it away. That being said it’ll happen. We’ll get a file in our office that should have never been on the bureau. So, we do have the power to reach into our rating and make it vanish. But we can’t use that as a negotiation tool. Doug Hoyes: So, something that’s reasonable, okay. Blair Demarco-Wetlauffer: It should be in your big game plan. If you can get out of debt in less than seven years and you’re not treading water on horrible interest rates, absolutely you should pay your debt. If you can’t get out of debt or you’re paying $300, $400 a month and you’re just satisfying minimum payments or interest rates, yeah you should look at a consumer proposal or a bankruptcy. I’d be the first to say that because you’re just throwing good money after bad and you’re not improving your personal situation. The bigger creditors will tell the agency you can settle that debt for 70 percent or you can waive the interest. So, you can absolutely pay that and in some cases, in a lot of cases, it’s worthwhile to pay it before it gets to the bureau or to pay it to correct your credit rating if you plan on getting a car or a house, two, three, four years down the road. Doug Hoyes: And so would it be a relatively typical case where the creditor would give you the authority to make a deal? Blair Demarco-Wetlauffer: Bigger creditors, absolutely. Doug Hoyes: And a typical deal that they would authorize you to make without even having to go back to them would be like 70 cents on the dollar? Blair Demarco-Wetlauffer: Exactly. And these debt settlement companies that are now coming under fire in Ontario, they’re holding this information secret because they’ve obviously called the same collection agencies over and over and over. Any consumer can get a settlement. And for the bigger creditors or the older the debt, the more lenient the settlement will be. The important thing, again like we said in the radio portion, get your settlement offer in writing before you pay a dime to protect yourself. Doug Hoyes: So, if I had a debt that’s two and a half years old. It’s on my credit report. Blair Demarco-Wetlauffer: As a trade line item maybe not as a registered item. Doug Hoyes: Yeah, it’s just showing up there. And so I’m pretty confident that I’m not going to get sued for it because we’re past the two years. But I also know it’s going to be on my credit report for a while yet. As a consumer, should I be talking to my friendly neighbourhood collection agent and saying okay look I know I owe that $1,000 on my cell phone bill, which is now $2,000 cause of all the interest and everything else that’s been accumulated over the last year and a half, I’m able to get $800 from my mother, is that something you would entertain? Blair Demarco-Wetlauffer: There is no harm in making an offer. The worst the agency can do is say no. If you are making – the big thing when you’re making a settlement offer is get it in writing. It has to be a lump sum. And the whole point of a settlement is everyone can shake hands, make a compromise and walk away. You can’t make a deal saying well I’ll pay $800 or the $2,000 of that with $50 a month. Is that okay? No, no one’s going to do that. But if you have that lump sum that you can pay and the debt’s two, two and a half years old, make an offer. The worst thing they can do is say no. Blair Demarco-Wetlauffer: Generally speaking probably you will be refused. What I’ve seen, and you’re right every creditor is its own special snowflake, but what I’ve seen is if I debt is about a year old, you can settle for about 80 percent. Debt that’s two years old, you can settle for 70 percent. Debts that are three and four years old you might be able to settle for 50 or 60 cents on the dollar and again, the bigger the creditor, the more likely that they’ll work with you. Doug Hoyes: So, these debt settlement companies, and as you say they’re coming under fire in Ontario, and in fact the law is in the state of flux right now. So, what I would suggest to anyone listening to this show is you either go to our website or go online and see exactly where the law is at cause it might have changed. Doug Hoyes: Yeah, it was passed in early 2014. Blair Demarco-Wetlauffer: Here’s the irony, they’re registered under the Collection’s Agency Act. They’re all collection agencies now. And by that, when this law is enacted all the collection’s agencies out there are going to become debt settlement companies. Doug Hoyes: Yeah, by definition or vice versa I guess. It’s quite interesting. Blair Demarco-Wetlauffer: They’re sometimes able to do that. The biggest thing I’ve seen from less than ethical debt settlement companies is you come into my office Doug and I have all this debt. I want you to settle my debt. So, you start making monthly payments to me which I put in my trust account. And I call Fido and I say, hi I’m willing to settle for 30 cents on the dollar or you won’t get a dime. And meanwhile you’re paying into the war chest, the settlement war chest and I keep calling the creditors every 90 days hoping I’ll wear them down. Meanwhile Fido and their collection agency are ruining that person’s credit rating and they’re paying for something that isn’t getting better. In fact Fido could stick to their guns and say our statements say two percent interest per month. It could be getting worse. Debt settlement companies are coming under fire because of this abuse. Doug Hoyes: But if I’m a collection agent or a bank, why wouldn’t I take the 30 cents on a two and a half year old debt? Cause there is really no other legal way for me to collect it any other way. Blair Demarco-Wetlauffer: They could play the waiting game. They could leave it on the credit bureau and hope you need something that requires a good credit rating. Credit ratings now are so much more important than they were in the 90’s when I first started in collections. You can’t get a bank account, an apartment, sometimes a job, you know certainly not a credit card or a house or a car without having a good credit rating. And most creditors will insist you pay your outstanding debts before they will give you something like a car. Doug Hoyes: And that becomes the leverage then. So, it’s not the money as much as the effect on your credit report that induces you to pay. Blair Demarco-Wetlauffer: Exactly. And every consumer should know that they have the right to pull their credit bureau for free. I’ve got a link on my blog to a link to the form they can mail into the credit bureau. Or they can actually go over to Burlington to Trans Union and a nice person will hand it to them across the counter with a booklet explaining it. You can get a copy of your credit rating for free. There’s nothing stopping you. There are a lot of online deals where you can buy it. Doug Hoyes: Where you pay. Blair Demarco-Wetlauffer: You don’t have to. There’s also a link on my blog where if you dispute an item on your credit bureau, you can fill in form and send it in and the credit bureau has to investigate that item to see if the debt is legitimate. Doug Hoyes: Yep, cool. Well, I think that’s a great place to end it. What I’m going to do in the show notes then is I’ll put a link to your blog which has all this information on it. So, anybody listening can just go to hoyes.com and type in collection agents or type in podcast and you’ll be able to find the full show notes. We’ll put all the links there. And I think the basic message that you’re giving people is, don’t put your head in the sand. Don’t be an ostrich. Doug Hoyes: But also, don’t do a deal that you can’t honour. That’s really what you’re saying. Blair Demarco-Wetlauffer: And don’t do a deal that’s bad for you in the long run. Doug Hoyes: It’s got to work for both parties. Doug Hoyes: Fantastic. I appreciate you being with me Blair. Blair Demarco-Wetlauffer: No, thanks that was great. Doug Hoyes: Thank you very much. That’s was the bonus podcast segment here on Debt Free in 30.